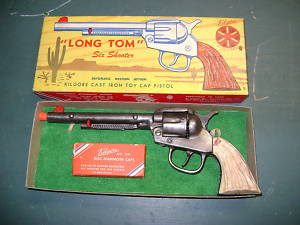 Pretty rare capgun in the original box. Gun works great. The box is super hard to find as is the original box of caps. Purchased at an auction for $330 and sold for $485.